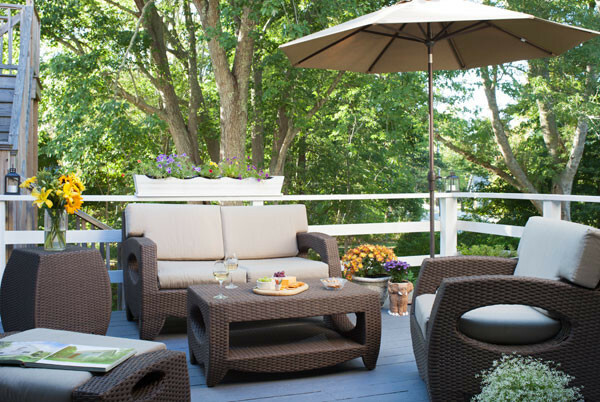 Guests love your B&B outdoor living spaces. Right? I know it is February and many innkeepers in the northern climes have stored away their outdoor furniture and put their gardens to rest, but it is never too early to start thinking about spring. Touch up paint on the ‘ol rockers and window boxes or… maybe a fresh new design entirely. Read the following and you may get inspired. This tip is from HGTV about home sales (there are 10 of them, worth a read) but it is great advise for your B&B as well, whether you are planning to sell or not. Your outdoor living spaces throughout your property are prime areas to add inviting character to your Inn. I like to advise innkeepers to think of their porches, patios and balconies as extra rooms, just like their interior rooms. These spaces should be as comfortable, clean and inviting (and inspiring) as your common rooms and guest bedrooms. Need inspiration? Pinterest is a great place to search for it. 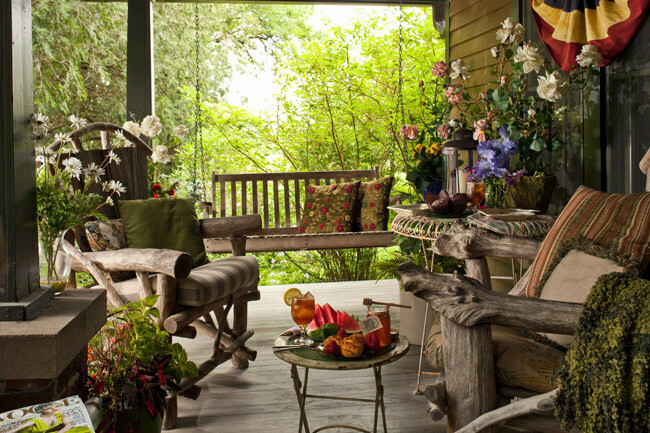 The B&B Team has three Pinterest boards devoted to B&B outdoor living inspirational ideas. Some examples of success may also inspire. Brian and Charlie purchased the Old Manse Inn in Brewster on Cape Cod three years ago. Since their purchase they have not only upgraded the guest rooms and common rooms but also their outdoor living spaces. The private deck off their Lewis Bay Light Suite is a great example of that comfortable and inviting outdoor space guests love to experience. Talked to Brian recently and he told me since the redo this room went from 25% occupancy to 38%. Success! Guests not only want to experience the outdoors but want to see it before they book. You know what’s coming next don’t you? Good professional photography. In our visual media world of today, this is not just a recommendation but a necessity! One of my favorite porch photographs from Christian Giannelli, the Irish Hollow Inn in Galena IL. Now this is an outdoor living room with character! Whether it is adding new updated patio furniture, a fire pit on the back lawn or a secret garden oasis, get inspired and start making memories in your outdoor living spaces. It’s sure to extend the ‘welcome’ along with the value of your B&B. This entry was posted on Tuesday, February 9th, 2016 at 9:34 pm	and is filed under Better Way to Sell Your Inn. You can follow any responses to this entry through the RSS 2.0 feed. Both comments and pings are currently closed.